Book your Niagara Falls tour from New York today! Enjoy the charming journey with low price including hotel and bus transportation. 1 Day excursions in New York. Visit the Empire State, Statue of Liberty Cruise, Time Square, Rockefeller Center and more. Explore the city that never sleeps. Treat yourself to a vacation and visit the top destinations on the East Coast from New York! Go to Niagara Falls, Washington DC, Philly more! 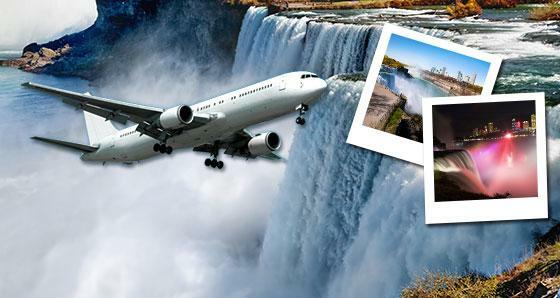 Fly round-trip for a Niagara Falls guided tour in a day. Enjoy a Maid of the Mist boat ride, the Journey Behind the Falls, and admire the Horseshoe Fall. You will find all the American attributes - the diversity, the culture, the style - intensified in such a fascinating city. 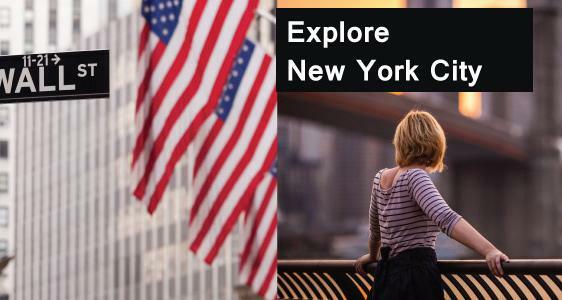 Immerse yourself in New York City, experience the incredible architecture, including some of the world's best-known buildings such as the Empire State Building and Chrysler Building, the Statue of Liberty, Rockefeller Center, Times Square, the Bronx Zoo, Staten Island Ferry, Brooklyn Bridge and many other attractions. USEastCoastTours.com delivers an exciting tour package to one of the world's most intriguing cities. Let us help you to plan your New York City Tour that includes everything from entertainment, attractions, dining and more.